To tell the story of the American Freedom Distillery is to tell the story of true American entrepreneurialism. 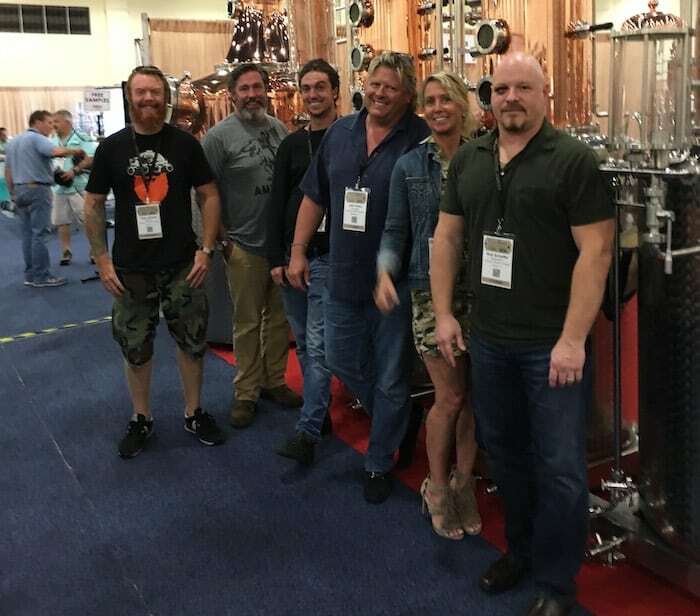 A group of ex-Special Forces veterans, noted both in the annals of recent military history and also a recent movie for being among the first on the ground in Afghanistan post-9/11, turned their collective skills learned during military service into the foundations of what they hoped would be a successful distillery operation out of Florida. American Freedom Distillery today is known to whiskey drinkers for their Horse Soldier Bourbon, so named for the mode of transport they used to get around Afghanistan. We recently had the chance to chat with one of the co-founders, Scott Neil, to learn about their whiskey making story and their journey from veterans to distillers. Note this interview is edited for clarity and brevity. The Whiskey Wash: Scott, tell us a little bit about your distillery. Its name, background, what motivated you to start it. 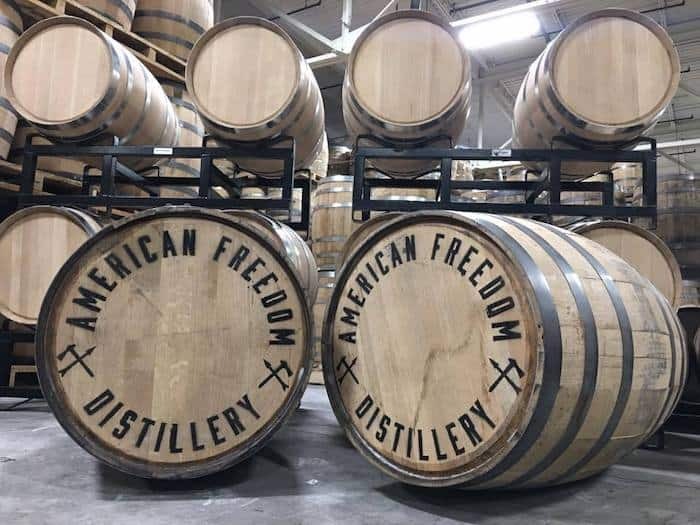 Scott Neil: The distillery’s name is American Freedom Distillery. Probably four years ago I had retired out of the Special Forces after 25 years. I had went back over as a government contractor, determined that I didn’t really want to do that, and then I worked for a non-profit, a military veterans non-profit, and I had started a transition program. We had done a big fundraiser in New York City, raise all kinds of money for the program, and on stage I said, “I quit.” If I couldn’t go start a business and live the American dream I’d been defending, it was all for naught. I had then seen a friend of mine who was very successful in business and said, “Hey. How do I start something?” He said, “The best thing to do is let’s go spend a month in Yellowstone and figure it out.” We climbed mountains and we fly fished and we spent 10 days riding across Yellowstone on horseback. It was right after we finished that we wanted to celebrate a little bit and we stopped at a little craft distillery in Driggs, Idaho called the Grand Teton Distillery. We thought it was interesting and cool. The husband and wife team let us behind the back and that just captured our imagination. We spent the next three weeks hitting every craft distillery we could find all the way back to Tampa, Florida where we’re from. Then my co-founder, John Koko, was originally from Louisville. He grew up in the same neighborhoods as some of the Brown Forman and Beam families. We went up there to talk to them about craft distilling. They right away became behind the scenes mentors to us. We wanted to explore it some more, so we went to Scotland, traveled up and down and played tourist, but there was a former friend that was a Royal Marine who had started Wolfburn Distillery. He let us train there for a week or two to really understand the behind the scenes part. We got home and started a business entity, and then we immediately went back to Ireland and made contact with the Teeling Distillery, which had just opened. We also spent time at Kilbeggan and found out that their head distiller’s daughter lives in Tampa as well. His been here routinely visiting his grandkids and has been a mentor to us. About three years ago we were looking for a building in Tampa, but we realized that we needed to start laying barrels away. So, we went into a partnership with a just finished distillery in Columbus, Ohio and we began making about 100 to 200 barrels a month to start aging. Come January last year, there’s a movie that came out, 12 Strong. It was about the first Green Berets who went to Afghanistan, which just happened to be about us. We decided that we wanted to launch our brand for soldiers and have timing with the movie, but we didn’t have our own aged inventory yet. So, some of the distilleries that had been training us let us [use their product]. We thought we’d only do about 1,000 cases our first year. It would give us time to learn the industry. We would start in Florida, and we would grow into our business, but what we discovered is it really took off. The packaging was beautiful. The juice, the mash bill we chose with a wheated bourbon. Everybody loved it. We sold through the first 1,000 cases in the first month, and then we had a reserve of another 1,000 cases, and then we really had to start thinking about seriously upping our production and building our brand. That was last year, and at the end of the year we were only in Florida. We went through 4,000 cases. Now, it was all of our own money, it was all of our own things, and we finally realized that this could be much larger. We decided to recapitalize ourselves. We did a round of funding and that allowed us to grow nationally. Also, the Wal-Mart corporate buyers were in Florida and they heard about our story and they wanted to stop by and say hello. They really resonated with veterans trying to start a new business, and they agreed to put it in their Florida stores. Wal-Mart invited us to speak on Veterans Day to the senior executive staff in Bentonville that was then broadcast out to all Wal-Mart associates. [One of our partners], Anchor Glass, is here in Tampa, our headquarters. They took us out to their glass factory in Indiana, and we got to watch the whole process. At the end of it we were watching a bottle mold, which really is what takes the brunt of the heat, pressure, and fire and that’s what costs craft brands so much. It averages about $50,000 a mold. We were asking what kind of steel it was and we discovered that it was the same kind of steel that was used in the World Trade Center. It was important for us because once again we were the Horse Soldiers. Number two is we buried pieces of that World Trade Center steel all over Afghanistan when we first went in. We have a statue at Ground Zero, all the America’s Response Monument, which is basically the label on our bottle. About three weeks later I had 500 pounds shipped to their foundry in West Virginia, and they made our bottle molds, and supported our brand, so that we could have our own unique glass. TWW: Talk a little bit about your background in the military and what that contributed to where you are today with the distillery. Neil: We were all Green Berets, and Green Berets are Army Special Forces. We all have to learn a second language. We all go through the Special Forces’ qualification course, which last up to two years. We actually had more training than a fighter pilot. We’re like expeditionary entrepreneurs. We go in remote regions, and we problem solve, whether that working with indigenous partners, or its humanitarian relief or it’s a disaster in remote locations that governments can’t get to. We’d learn and adapt very quickly. So, how did all that play into the fact of distilling? Well, if you think about distilling, you have art and craft meets science and technology. There’s two sides. There’s the production side. There’s the equipment. There’s the maintenance. There’s understanding distillation from a chemical process, the quality control to bottling line to delivery and manufacturing, and then, on the other side, there’s this kind of adherent and low tolerance for short cuts. That made a perfect match for our personalities, and what we did just like a Special Forces A-team is everybody took a different lens and attacked it. So, I had to learn all about production and delivery, and what goes inside of the bottle. What my co-founder John has is a very strong sales background. He had got out and become successful and personally had the funds. He really understood what it took to reach a customer and sell it. His wife, Elizabeth, is another co-founder. She came out of 20 years in the perfume and beauty industry, which she knew about packaging. Right? The look and the feel and the eye appeal. She understood retail and shelf talkers and point of sale. Rob, our Green Beret lieutenant colonel, was about processes and procedures. So, he took on managing the money and the backend of the offices. Mark and Bob, who were the Horse Soldiers’ commanders, became the grand face to the public because, after the movie, people wanted to hear the story of how 12 Green Berets organized 2,500 cavalrymen and 1,000 mujahideen fighters in less than three weeks to overthrow the Taliban. 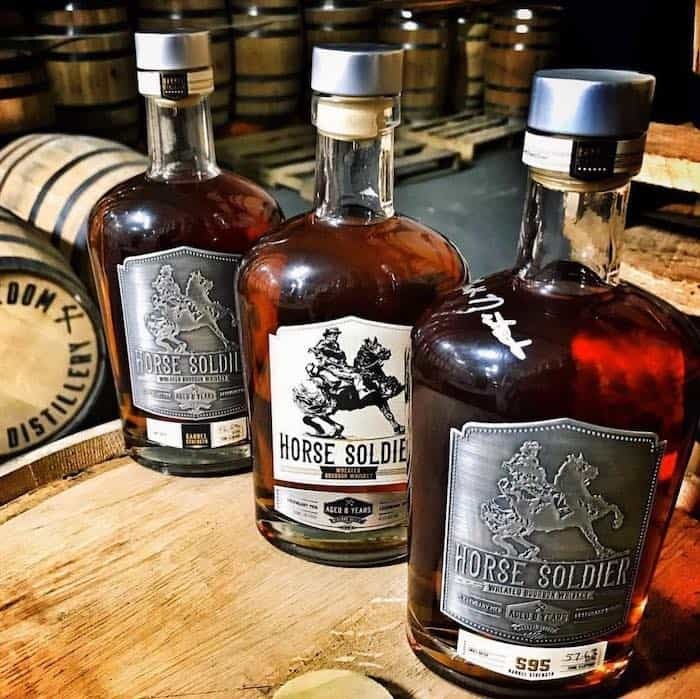 TWW: So let’s talk a little about the Horse Soldier Whiskey. What was your thought process around the mash bill and what is your long-term vision? You’ve done a wheat forward mash bill – why do that route versus rye? Neil: Actually, we went both ways. We were actually making a wheat bourbon and a rye bourbon. Wheat is very soft and sweet. The wives really like it. I mean, we tried everything. Imagine discovering bourbon again for the first time, and just trying hundreds and hundreds of bourbons and Scotches and relearning what smells worked. A lot of us have been blown up or shot. We really had to reteach ourselves the different tastes of all these products. We started manufacturing both. We would do 100 barrels in rye bourbon and a 100 barrels of wheated bourbon. That’s been two years. We’ve got over 3,000 barrels of our own that we’ve made so far. TWW: You’re distilling on-site now? Neil: We are distilling up in Ohio. We realized in Florida, after talking to a lot of the people and some folks in Texas, that the heat was too much for bourbon. We fly up once a month and spend a week up there. We do a couple hundred barrels at a time. TWW: Is it a distillery you could name? Neil: It is Middle West Spirits. Ryan [one of their co-founders] has been a good teacher. He has a lot of experience. The biggest thing I’d like to say is how with the distilling space everybody’s very generous with their time and knowledge and shares. The facility here in Florida that we’re building will focus on our rums, vodkas and gins, but we’ll just always keep our bourbon up there. It’ll just age better. Neil: We discovered three principles, three tenants. I mean, everybody said the same thing just in different ways, and we really took it to heart. They were, number one, the packaging has to be exceptional. You’re competing against a hundred brands on the shelf or in the back of bars. People don’t know what you taste like. Your packaging need to stand out. That’s where Elizabeth came in, being from the beauty industry. She makes everything beautiful. If it was us guys, it would be camouflage and crayons, I always kid. She stuck to the premium look and feel. Number two is the juice, the inside of it had to be exceptional as well. Most people will try you once, and hear the story and if it’s really bad you’ll never get a pull through. Number three, they said you have to have enough to build the brand and deliver it to the distributor. Nothing to the distributor is more frustrating than partnering with you, building the brand and then you can’t deliver it. You can’t meet growth in what they’re willing to invest in it. We knew we had to have production in order to meet where we believed this brand could grow to.